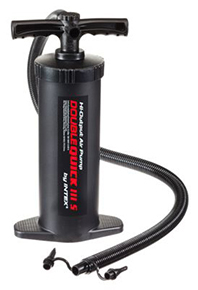 This hand air pump is ideal for a quick and easy inflating or deflating of rubber boats, air mattresses, air beds and many more. Due to its dual action, inflating time is minimized. To buy this pump or send an inquiry, fill this or phone/text 99451541.